To me nothing screams Valentines Day more than chocolate covered strawberries. This year, skip the hassle of dipping strawberries and make a delicious breakfast out of .. This easy to make Springtime breakfast treat can be made in minutes and it is DELICIOUS. 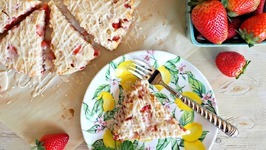 I love using fresh beautiful strawberries and then topping it off with a creamy glaze. Looking for the perfect Christmas morning breakfast treat?! 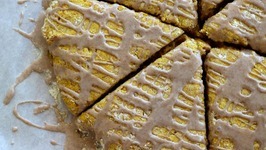 Try my easy to make and VERY delicious Frosted Gingerbread Scones! These only take a few minutes to make and .. 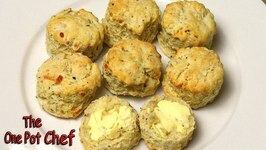 Cheese and Herb Scones are a savoury baked treat that can be served their own, or as an accompaniment to a main meal. 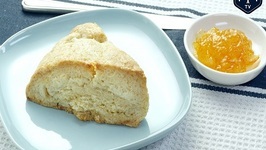 Home Made Scones is a quick-to-prepare, baked treat that is perfect for making when unexpected guests drop by. 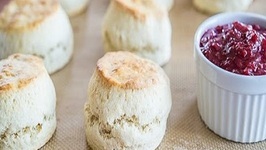 Scones are a classic country-style baked treat that are perfect for whipping up when you have unexpected guests drop by. 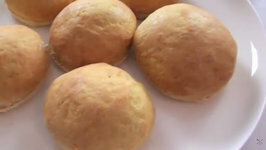 Flour, cream and lemonade are combined to create the dough. What do you get when you combine biscuit baking mix, walnuts, and cranberries? 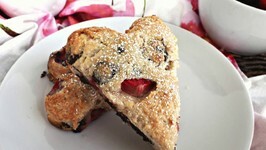 Wonderful scones! 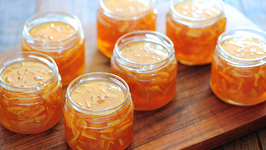 Chef Cari from The Food Channel demonstrates how easy and simple making .. 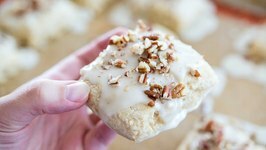 These Maple Buttermilk Scones are a quick and easy recipe to make for a nice fall brunch or breakfast. 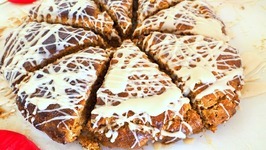 They have a maple glaze on top and are sprinkled with chopped pecans. 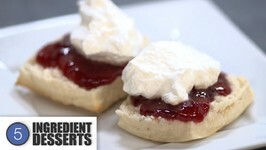 Best Scones you'll ever eat. Ever! These Fluffy English Scones are soft, pillowy, and delicious. 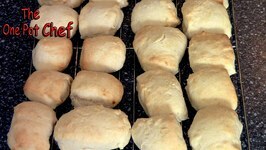 They're very different from American scones! 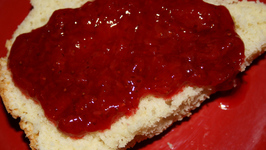 I also show how to make a quick strawberry jam that you can .. 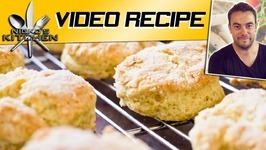 In this video, Betty demonstrates how to make Strawberry Scones. 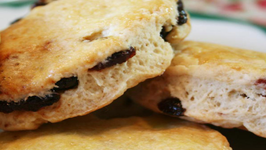 These are baked in a cast iron scone skillet, but triangles of scone dough may easily be placed on a ..
Tender and slightly sweet, these breakfast scones are perfect for a special holiday breakfast, brunch or afternoon tea! 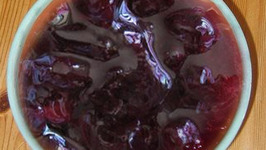 This light and fluffy butter tastes delicious on waffles, scones, muffins, pancakes and toast! 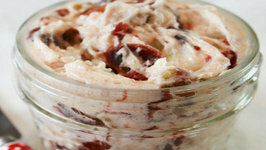 Fill a little Mason jar with this yummy butter, add a festive spreader and .. 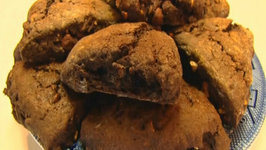 In this video, Betty demonstrates how to make Chocolate Cashew Scones. These scones have a rich, dark chocolate taste, with a crunch of salty cashews. 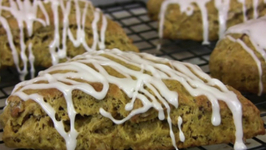 In this video, Betty demonstrates how to make Cranberry Scones. 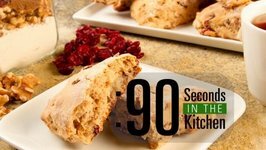 These scones are made with dried cranberries that have been rehydrated. 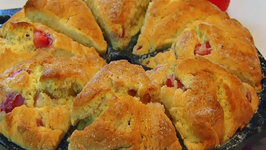 Betty's Cranberry Scones -- Kentucky Style!